» Can Cats Eat Sausage? Do you know how many types of sausage there are? Well, I don’t either, but there are a lot. Apparently, there are over 1,200 different types of sausage in Germany alone. With all the different types of sausage out there, you might be wondering if there is one out there your cat might especially like. But, before you break out the jerky, maybe we should first figure out whether sausage is actually good for cats to eat? Can Cats Eat Vienna Sausage? Can Cats Eat Italian Sausage? Can Cats Eat Uncooked Sausage? Everyone knows cats really love meat. After all, who hasn’t had a cat beg for a bit of turkey during Thanksgiving dinner? As obligate carnivores, meat is the only food cats really need to eat and they derive little to no nutrition from plants and vegetables. But, is sausage a good form of meat for cats to eat, and would they like it? As we saw in the video, cats can, and will, eat sausage. They main drawbacks to your cat eating sausage, as we discuss in more detail below, is that too much sausage eating can make your kitty fat and spicy sausage can give them an upset tummy. Most importantly, raw sausage can be contaminated with bacteria, such as Salmonella. That is why sausage must be fully cooked, as the bacteria are destroyed from the heat of properly cooking the sausage. So, do cats even like Vienna sausage? Let’s watch the following video and see. Well, I guess they do. But, are Vienna sausages healthy for cats to eat? One Vienna sausage link, by itself, has about 86 mg of sodium. By contrast, the daily recommended allowance of sodium for a nine pound cat is about 42 mg. In humans, there is quite a bit of evidence linking increased dietary sodium levels to hypertension as well as cardiac and renal disease. However, in cats, a 2 year study failed to show that increases in dietary salt intake were harmful to cats’ renal function or raised their blood pressure. This doesn’t mean that high salt foods are good for cats, probably cats are just more tolerant to high salt level than humans. The verdict is also still out on whether high-salt diets are detrimental to cats who already have kidney or renal disease. If your cat does have renal disease, follow your vet’s advice which will probably include a recommendation that your cat not eat a high sodium diet. Vienna sausages are also relatively high in saturated fats. Cats, however, process fat differently than humans. Cats can enjoy a diet proportionately higher in lipids, including saturated fats, without any negative effects. The main problem with cats eating a high-fat diet is they could become overweight. In North America, Italian sausage is a sausage most commonly seasoned primarily with fennel or anise. In Italy, there are thousands of different types of “Italian sausages,” some of which are very different than the American variety. Fennel is considered safe for cats to eat in small quantities. There is, also, very little evidence to suggest that the anise in sausage would be harmful to cats. The main problem in any spicy sausage is whether it upsets your cat’s stomach. Always start out any novel food in small quantities until you know it sits well with your cat’s tummy. Also, keep this in mind if you intend on mixing the sausage with some spaghetti as well. In severe cases life-threatening septicaemia and endotoxemia may develop and in rare cases the infection may spread to different organs causing pneumonia, meningitis and abortion. To be safe, avoid giving your cat raw sausage. 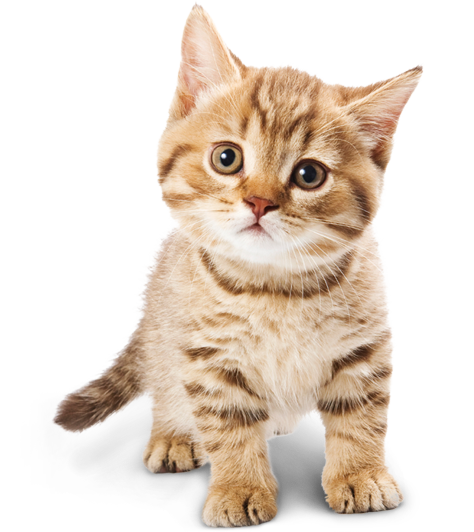 Kittens tend to be even more susceptible than adult cats to most things because they are tiny and have not yet fully developed their immune systems. Toxins and bacteria found in raw sausage are even more likely to make a kitten sick than an adult cat. If you are determined to feed sausage to your kitten, it should be cooked first and given only in small amounts, and then, only as a special treat. Adult cats are fine to have a little bit of cooked sausage from time to time. But, with all of the great options out there, why not try a sausage cat food made just for them? There are also sausage-flavored cat treats that your cat may love. So, Can Cats Eat Sausage? Well, now we know that cats can eat sausage. However it’s best to give it as a special treat and in limited quantities. Further, we learned you should never feed raw sausage to your cat or kitten because bacteria that are often present can make your kitty pretty sick. Another potential problem with sausage is the spices that go into making it. Though the amount of spices probably won’t cause any significant health issues, they could cause your kitty to have indigestion and an upset stomach. If you are going to give your cat sausage, make sure you start with small amounts first. Most importantly, we saw that there are many safe and healthy sausage flavored cat foods and treats, that are great alternatives for your kitty. If you’re also wondering if your cat can eat ham, you can click here to find out. If you have any questions or would like to share a story about your cat and sausage, please tell us in the comments below, we’d love to hear from you.